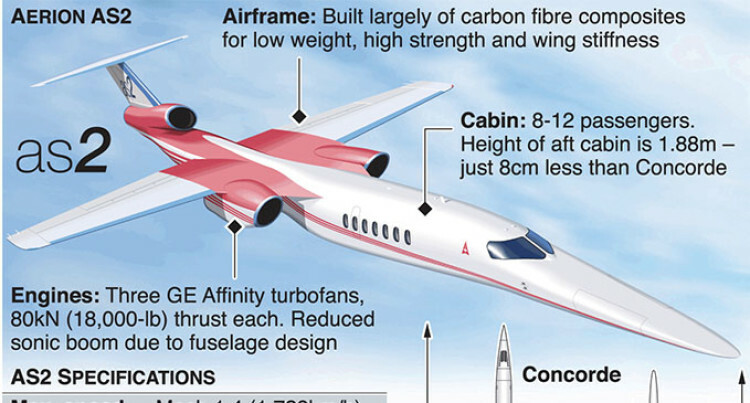 Graphic shows details of Aerion AS2 jet. 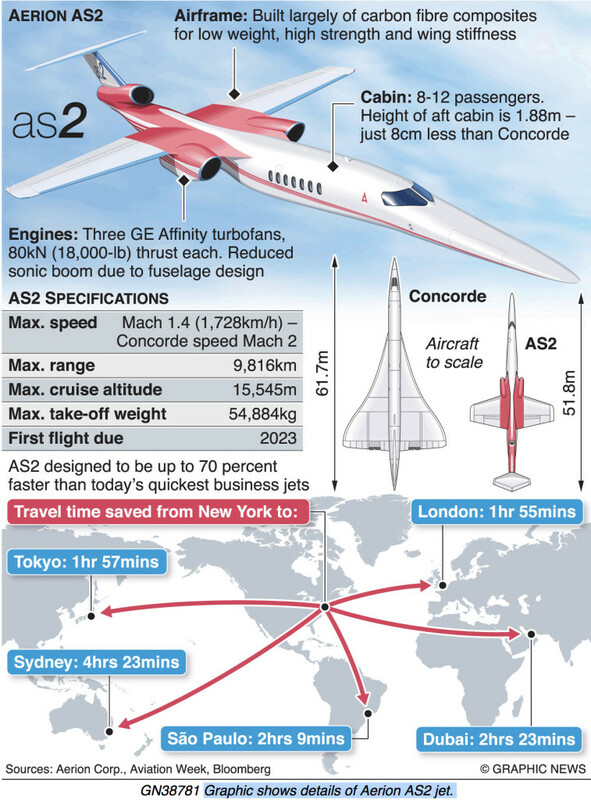 Boeing is partnering with Nevada-based startup Aerion Corporation to develop a business jet that promises to bring back the luxury of supersonic air travel for the first time since Concorde retired in 2003. Boeing is partnering with Nevada-based startup Aerion Corporation to develop a business jet.